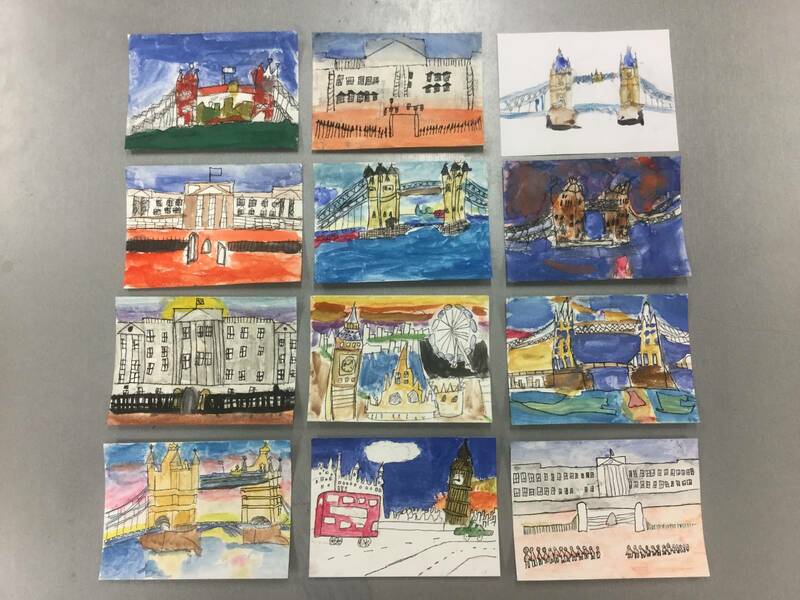 Art club made some very impressive postcards this week. 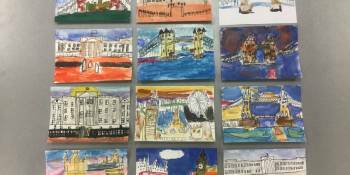 They focused on the skill of sketching and using water coloured paint. 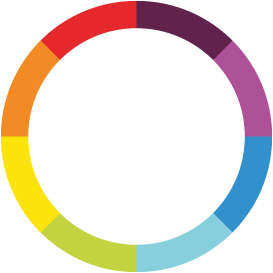 They developed techniques with the watercolours and now know how to mix different tones and find a good consistency with the paint. 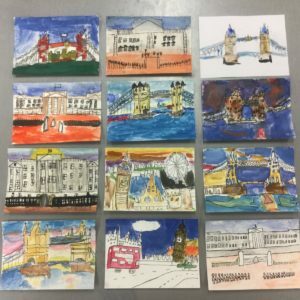 Art club focused on the theme of London landmarks. Now that they have completed their postcard all that’s left to do is send it to a family member or friend!